I have just made this fantastic scarf. Thank you so much for the pattern. Is it okay to try and sell scarves using this pattern or a blanket? I do not have a website but have pointed people to this page and also your Facebook page. Thank you again!! You are most certainly welcome to sell anything you make off of these patterns! I only ask that you reference this website as the pattern author when you sell your items. Thanks so much for dropping by! I was looking for a pattern that was open/airy for the upcoming spring/summer and this fit the bill to a “T”. I’m a fairly new crocheter and after several attempts I finally got it together. The scarf is beautiful! 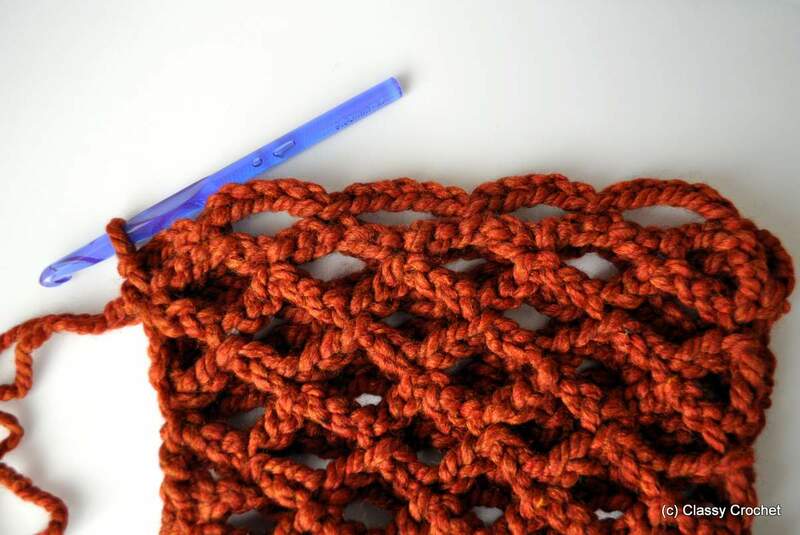 Have a quick question and I’m sure only because I’m new to crocheting, but am having a hard time figuring out how to join the ends when the scarf is done. Any help you can give would be most appreciated! Thank you and thanks for this great pattern. I’ll be making several more, I know. This is a beautiful pattern. I just have a question. I’m having left over chain stitches on my row 1. 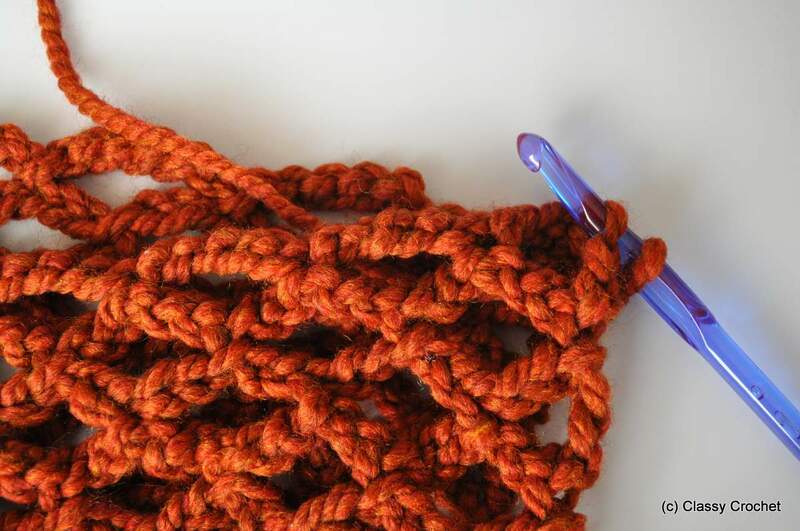 Does the slip stitch count as a stitch when you are counting 5 stitches after chaining 5 before doing another slip stitch? Thanks. 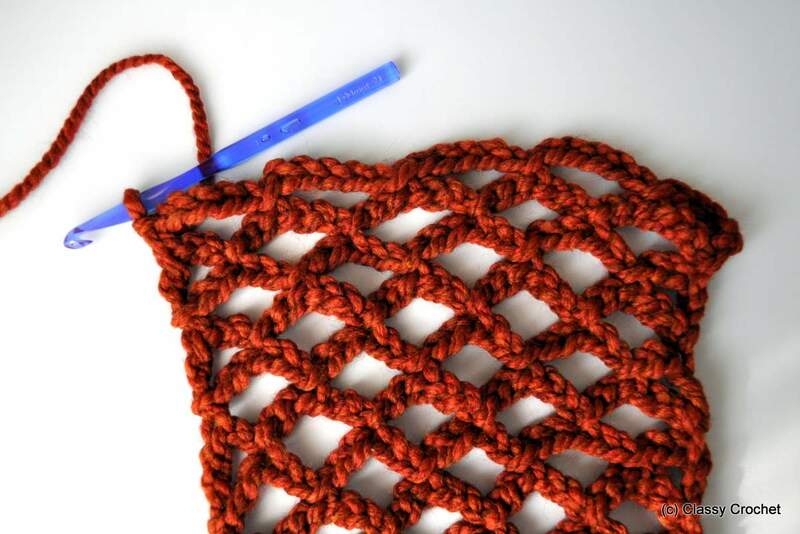 I love this pattern and I’m going to make it! I also love your way with words. “Loop that sucker around your neck and go conquer the world!”. Lol! Thank you for this pattern. I am a beginner at this and am really pleased that I actually made something I can wear proudly! I also made some bookmarks for my kids for Valentines Day by crotcheting just two rows of this pattern and finishing it with a tassel. So hoping you see this comment. I’m wondering how hard do you think it would be to add a border of a different color? Hi! I’ve never done a border but I think it would be pretty easy. 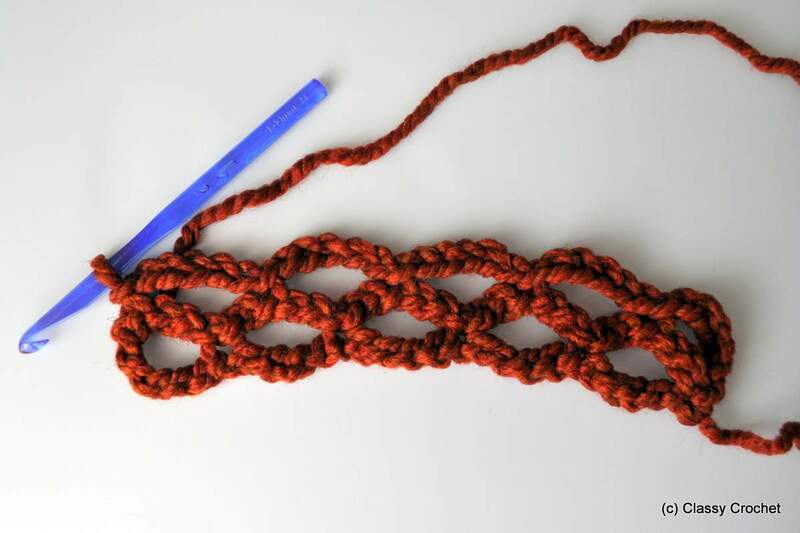 You’d want to make the entire scarf in the one color first, and then go around with the second color afterwards. I think it would look really pretty! I love this pattern. Thank you. So super easy and fast. I just made my first scarf ever with this pattern. Easiest instructions to follow I have found so far. 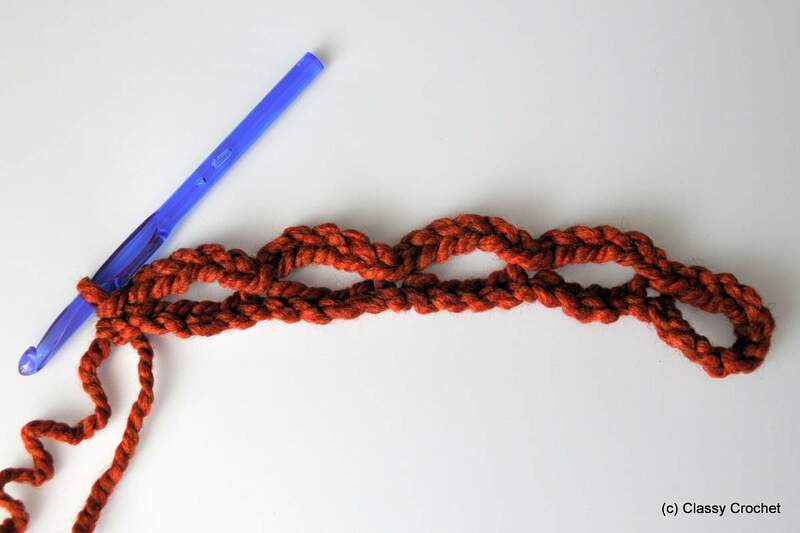 I am going to try to work out a way of using this lovely stitch to make a long, shallow pointed scarf as most are too bulky. What are the numbers if making longer chain. I am also going to make this from some lovely wool that I’ve not been able to use as there’s not enough for a scarf. Thank you. Hi! Thank you for your interest. 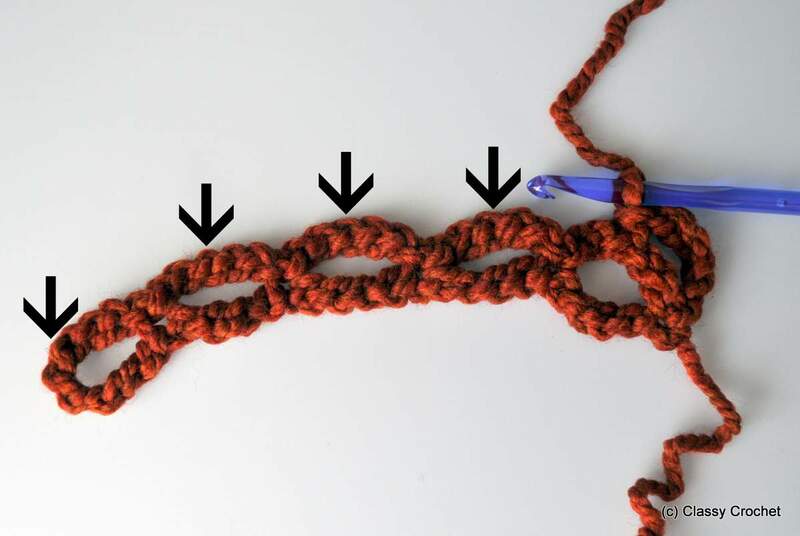 The chains are in groups of five, so if you want to make the scarf wider, increase by 5 chains however many times you want to increase by a ‘loop’. Hope that helps! Love this! I even made one using avg yarn and decorative lacy yarn together. Very beautiful and fast! 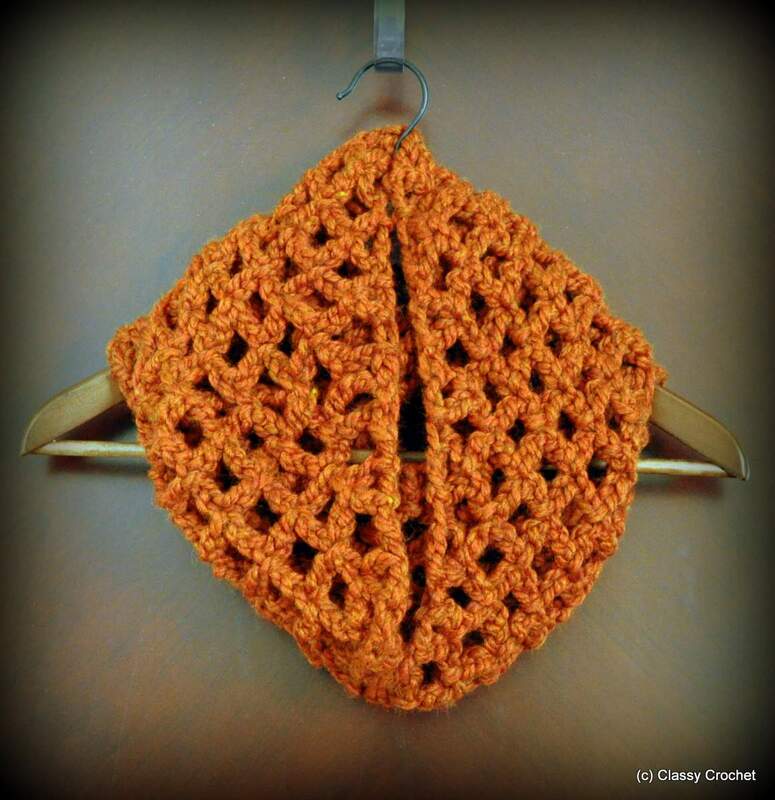 What a perfect way to reintroduce myself to crochet! 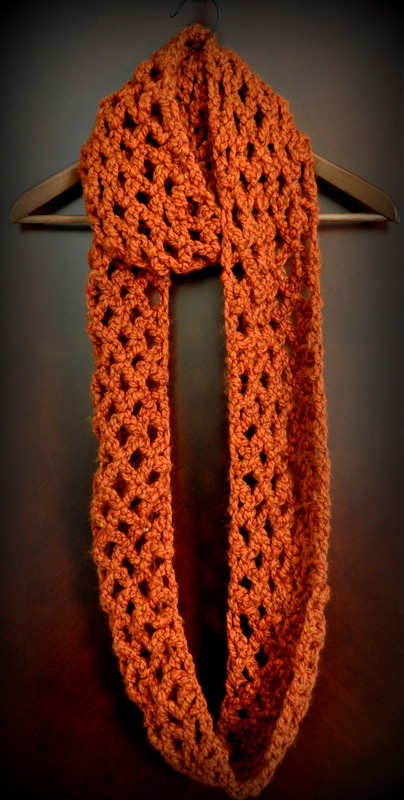 Whipped one of these lovely scarves out in an afternoon using two strands together of Lion Brand Homespun =). I’ll definitely be doing more of these for gifts and maybe to sell (referring here for the pattern of course!). Thank you so much for sharing this with us! Thank you so very much for sharing this pattern! I just finished mine using Homespun yarn, Harvest color. I absolutely love the ease of making this and plan on making two more as holiday gifts. How long is the finished scarf in the picture? I only have #4 worsted weight yarn and am going to make this for my local library mitten and scarf drive during this holiday season. I needed a pattern that was super fast so I can make scarves quickly! thanks again for your crochet ideas! 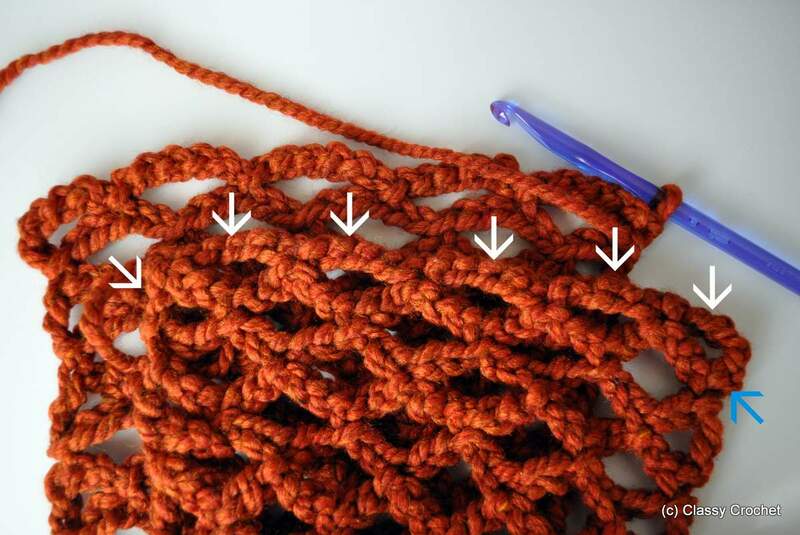 I’m going to feel like a dummy for asking this…but I was just recently introduced to crocheting and have literally no idea what I’m doing, so in row 1 when you are talking about slip stitching the 10th chain and then going on with the 5 chain stuff…I was hoping you could maybe take into further depth for me. I hate to be a bother or something but I could use the help. I’m planning on crocheting this scarf as a present for someone very close to me. I also had another questions if you don’t mind. I’m going to make the scarf in black and I wanted to use some red yarn to add some color. Are there any ways I could add the red to the regular scarf in an interesting but simple way? Do you happen to have a slouchy hat pattern that would go with this? 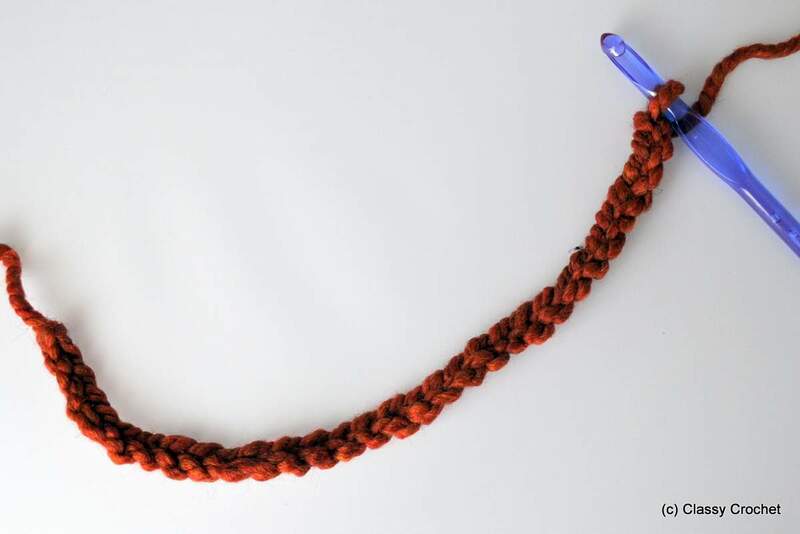 I know this has been up for a while, but I’m gonna try this idea with single crochet and the Boutique Unforgettable yarn. I hope it works out!! this lacy pattern with the silky weightless yarn should be great! Could this just be left as a long scarf and not made into an infinity scarf? of course, just don’t sew the ends together. 🙂 happy crocheting! I’m a beginner. 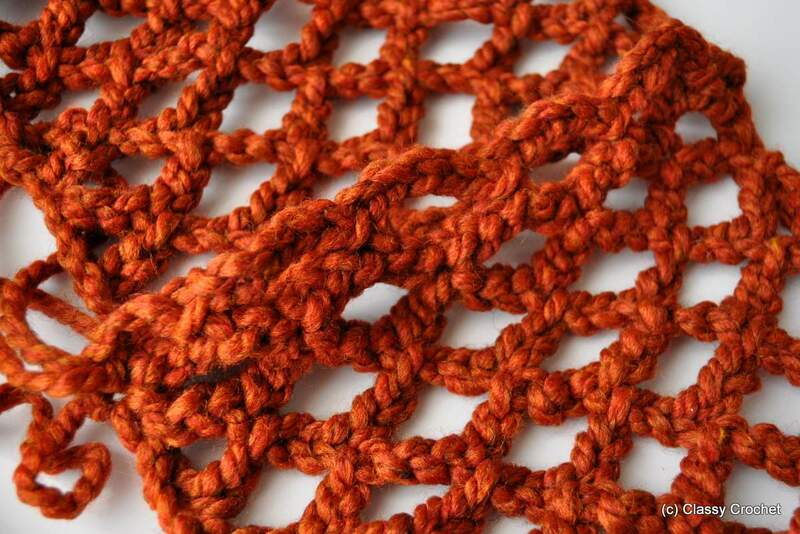 This pattern is beautiful and very easy to do. I’ve just finished mine only in two days. Thank you so much for sharing it.. 💕 I love this page! It is so easy and simple. I’m going to make this scarf in lions head yarn .black white grey.looks easy and fast to make thank you for sharing.